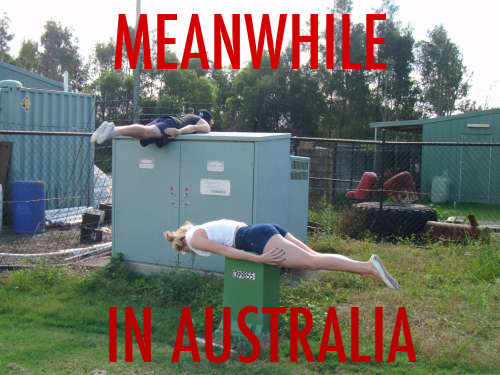 Meanwhile In Australia.... For those who have no clue what my fellow Aussies are doing, it's called planking.. Wallpaper and background images in the Zufällig club tagged: random planking australia. This Zufällig photo might contain müllcontainer. a guy died a few days ago trying plank on a railing. apparently it's all the rage in austrailia. i don't know why. I dont get it. Dont people in other countries do it? ?